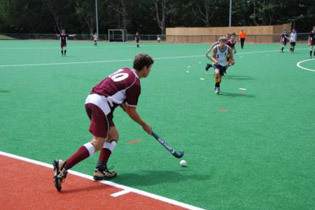 Kearsney College provides a dynamic environment to promote sporting excellence, sportsmanship and healthy competition for all. 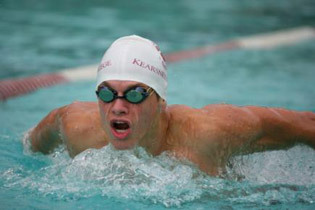 Kearsney’s vision for sport is part of a broad and integrated approach to Wellness. 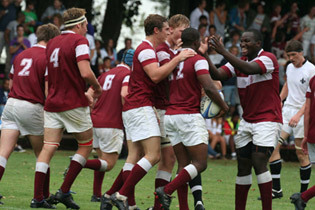 Kearsney believes that participation in sport is integral to a boy’s personal development and has a policy of “sport for all”. The College promotes a culture of fair play and respect. There are more than 20 other sporting venues at the College, including immaculately kept sports fields and a water-based Astroturf hockey field. The variety of sports on offer include basketball, canoeing, cricket, cross country, golf, hockey and indoor hockey, rugby and sevens rugby, soccer, squash and swimming to tennis and water polo. Our sportsmen have access to world-class facilities, coaching and support. Professor Tim Noakes, the internationally respected authority on sports medicine officially opened the SportZone, Kearsney College’s multi-functional indoor sports facility. He stated that the SportZone was a world-class facility,and that the College had set a new standard for other South African schools to follow. Professor Noakes stressed the importance of sporting excellence, participation and fun – key philosophies of Kearsney’s approach to sport. “If South Africa is to succeed globally, we have to have excellence. And this facility is about excellence,” Noakes said. The following age groups operate in most of the sports: U14 U15 U16 and Open. As an example, in the U14 age group the boy must be 13 on 1st January of the same year and will turn 14 during that year. Any boys who wish to play outside their age group should discuss with our Director of Sport.